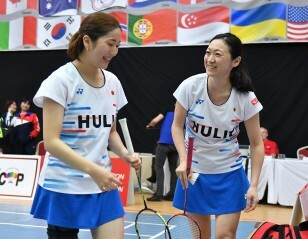 Yamazaki (left) and doubles partner Sarina Satomi won gold in Dubai. Motivation is key for any athlete when they start their journey to reach the top. 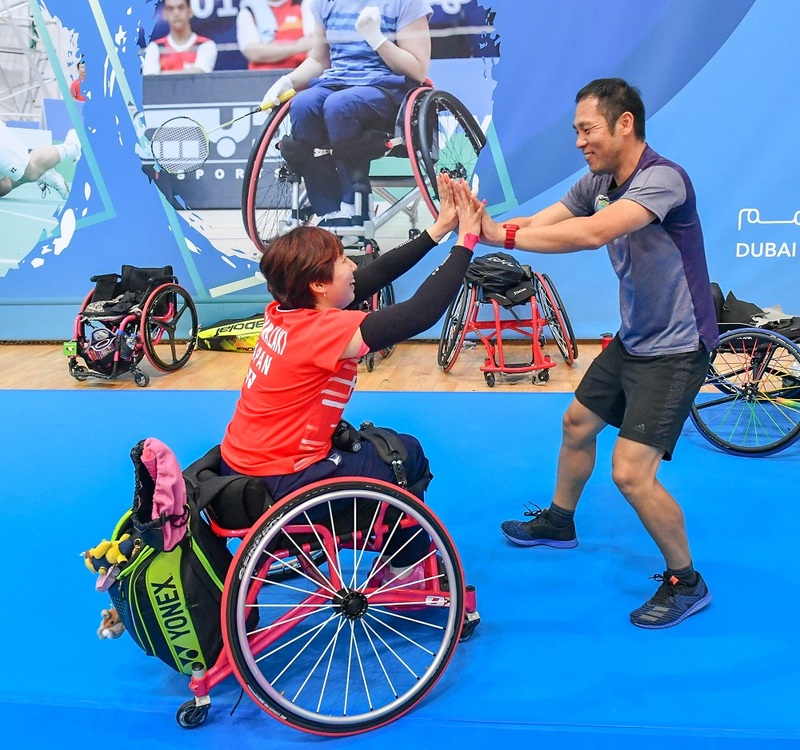 For Japan’s Para badminton queen and mother of two, Yuma Yamazaki, she has plenty of reasons to be excited as she enters the most important 12 months of her career. Not only will she be one of the many proud Japanese enjoying the prestige of competing at a home Paralympics, but she’ll be vying for the honour of becoming the first Paralympic gold medallist in her event as the sport makes its debut at Tokyo 2020. And to top it all off, she’ll have her adoring two sons in the crowd cheering her on. “My sons only understand if I win or lose. They are not aware of my medals so much. But I want the kids to see the hard work I put in when I’m playing,” she says. Yamazaki’s road to success began as an able-bodied badminton athlete in her junior years. 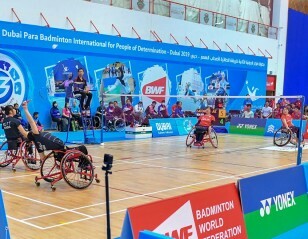 Now ranked second in the world in women’s singles wheelchair (WH2) category, the 31-year-old reflects on her transition into an elite-level Para badminton. “I was already playing badminton in high school as an able-bodied athlete. After an accident in high school, I became wheelchair-bound and could no longer compete. 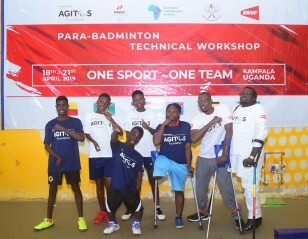 But after seeing Para badminton at the National Sports Festival of Japan in 2013, that’s when I first thought of playing. “Now, I enjoy the sport so much. I don’t feel like it’s a job. I play because it is so much fun. “It became more fun when I started winning, and now I get frustrated when I lose. But this motivates me to try and go back and experience that winning feeling again,” she says. 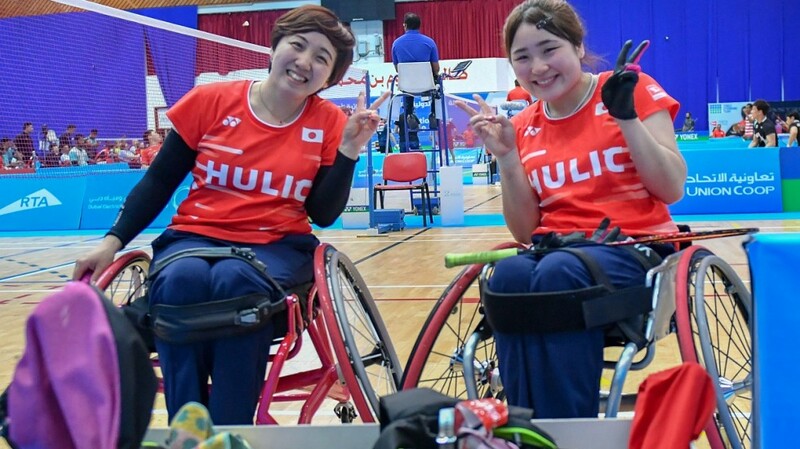 With Tokyo 2020 on the horizon and the all-important Tokyo 2020 Paralympic Games qualifying period underway, Yamazaki knows she has to raise her game to compete with the best in Tokyo. 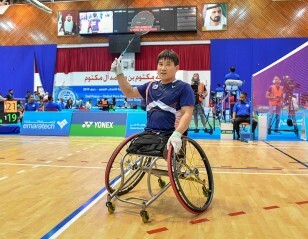 Yamazaki is coming off consecutive semifinal appearances in women’s singles WH2 class in Turkey and Dubai, plus gold in women’s doubles WH1-WH2 with Sarina Satomi at the 2nd Fazza-Dubai Para-Badminton International 2019. High fives for Yuma and her coach. “I feel I still have plenty of improvements to make,” she says. “When I observe the top Korean male players in the men’s WH1 and WH2 categories, they have amazing accuracy in their shots. “There’s also several players in China who are better than me, too. There’s one Chinese player who I’ve never defeated in singles. So, I know I have to work harder to win a medal in Tokyo. 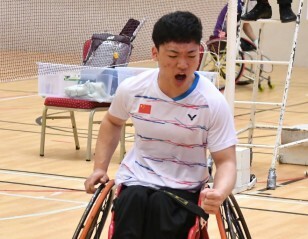 As a proud Tokyo local, Yamazaki is also aware of the importance of Para badminton’s debut at the Paralympics Games and the potential legacy it will leave in Japan and around the world. “I am hoping that Para badminton will develop more after 2020,” she said. “When I go to lecture at schools, some of the students ask ‘How can you play badminton in a wheelchair’? “They are impressed to see I can do it. Children, especially, think that only the elderly people are in a wheelchair. 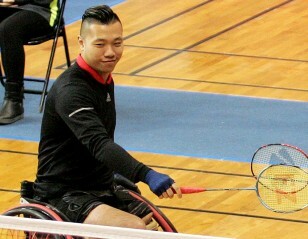 I want to show them this is a sport and it is called Para badminton. We wish Yuma and her family all the best on her Road To Tokyo.